1. GAIN ATTENTION. Image yourself as a patrol leader conducting a patrol in a mountainous environment. You have a thirteen man patrol, who all have sling ropes, carabiners, and the squad has two 165' static ropes. Your patrol comes up to a swift moving stream, which cannot be crossed by foot and is 100' wide. The rope will reach across, but sags in the water endangering Marines by drowning. The rope must be tightened to keep the Marines out of the water and aid in the crossing. 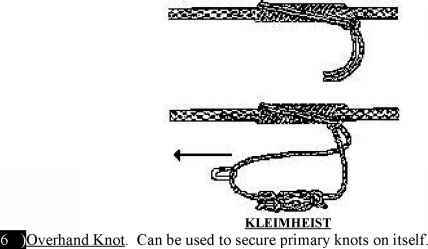 This class will demonstrate and apply the physics of tightening a rope through mechanical advantage. 2. OVERVIEW. The purpose of this period of instruction is to introduce the student to the basics of mechanical advantage and the different types of pulley systems used. This period of instruction relates to all high tension systems. 3. METHOD/MEDIA. The material in this lesson will be presented by the lecture and demonstration method. You will practice what you have learned in the one rope bridge class practical application. Those of you with IRF's please fill them out at the end of this period of instruction. 4. EVALUATION. This period of instruction has no learning objectives and students will be evaluated throughout their training. The procedure of mechanical advantage will be tested on the one Rope Bridge. TRANSITION: Are there any questions over the purpose, learning objectives, how the class will be taught, or how you will be evaluated? Let's discuss the theory behind the mechanical advantage system.